Love conquers all in the action epic. Watching Baby Driver, it’s easy to imagine the creators were striving to combine the quirky love story of 500 Days of Summer with the action of Drive, set to classic soul, pop and doo-wop songs. If that sounds like putting a scoop of chocolate ice cream on a slice of pepperoni pizza, keep in mind that the project attracted top shelf talent, including Kevin Spacey (House of Cards), Ansel Elgort (The Fault in Our Stars), Jamie Foxx (Ray, Django Unchained), John Hamm (Mad Men), Lily James (Cinderella) and John Benthal (The Walking Dead). This weekend, Baby Driver cruised to a surprising $30 Million weekend, aided in large part by word of mouth and social media buzz, because this definitely is a movie that’s difficult to describe, let alone sell in a 30 second TV spot. It’s a heist movie, to be sure. But there’s also a modern musical vein reminiscent of La La Land. Baby (Elgort) is a good kid who owes a debt to Doc (Spacey), a cold blooded gangster who arranges bank heists by leveraging the debts of cocaine addicts against them for insider information. Doc masterminds the hit, hires the crew, and lets others risk life and freedom to carry out the dirty work. The crew is always changing with the exception of Baby, a prodigy wheelman and unwilling accomplice who Doc keeps working by threatening to kill Baby’s foster father. Due to a childhood accident, Baby suffers from constant Tinnitus, and constantly keeps music pumping through earbuds connected to various vintage click-wheel iPods. Far from just a way to avoid the physical pain in his ear, Baby also leans on the perfect soundtrack to outrun the cops time and time again. More importantly, he can emotionally disappear into the perfect mix to avoid the grim reality of a life controlled by a sinister kingpin. Baby’s world is filled with everything from The Damned, pioneers of the first wave of British punk, to Beck, to the 60’s girl group swing of Carla Thomas. 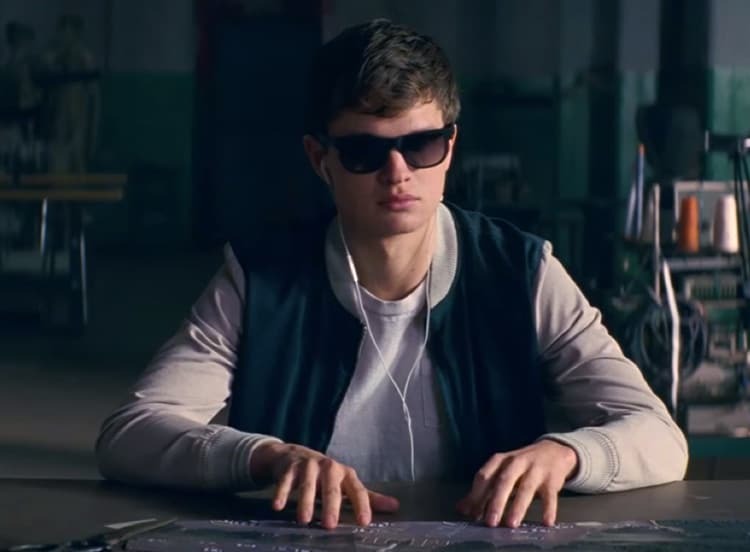 Baby Driver takes place through the stylistic eyes of it’s protagonist. Baby moves through his world with a sense of flair and choreography. From picking up coffee to making a peanut butter sandwich, he physically moves through the world to as if his every motion is a piece of performance art. Art is also the best word to describe Baby’s driving, as this movie stands on the dual pillars of an irresistible soundtrack and breathtaking chase scenes. Dozens of vehicles were destroyed to make this film happen. Far from the unrealistic action of the Fast and Furious franchise, every skidding turn and tight squeeze between two obstacles feels like something that could actually happen. The most impressive thing Baby Driver may be the vehicular ballet that plays out with squad cars tailing Baby and crew across freeways and through side streets and alleys of downtown Atlanta. But the most endearing is Baby’s unswerving devotion to Joseph, the geriatric, deaf foster father who took Baby in after the death of his parents. The pair reside in a rough shamble apartment building, and make a happy life and family out of difficult internal and external circumstances. His heart may be full of love for Joseph, but Baby makes room for one more when he hears the voice of Deborah, an overnight waitress and fellow orphan who belts out 60’s love songs . As the pair fall for each other, Doc discovers the budding romance, threatening to kill both Joseph and Deborah if Baby ever refuses to take the wheel for a heist. This is where Baby Driver differentiates itself from the dozens of mindless action and superhero movies released every year, in (mostly) cheap attempt to get young adult males to fork over $12 for two hours of escapism. It’s a movie that captures that claustrophobia of speeding down a back alley without forsaking the heart: a story about a wounded kid who just wants to have a life with his only family member, and the girl he’s extending his heart to. Also rare for an action film (or anything to come out of Hollywood), the life of an elderly man is shown to have dignity and worth. For a town obsessed with youth and bodies perfected via surgery and photoshop, it’s a rare and beautiful picture of humanity in the middle of summer movie season. If you’re a cinema buff, you may have noticed this is the passion project of Edgar Wright, the screenwriter who gave us the offbeat delights Scott Pilgrim vs. The World, Ant Man, and Shaun of the Dead. If you’ve been waiting for a movie this year where Christian values are projected on the big screen, here it is. 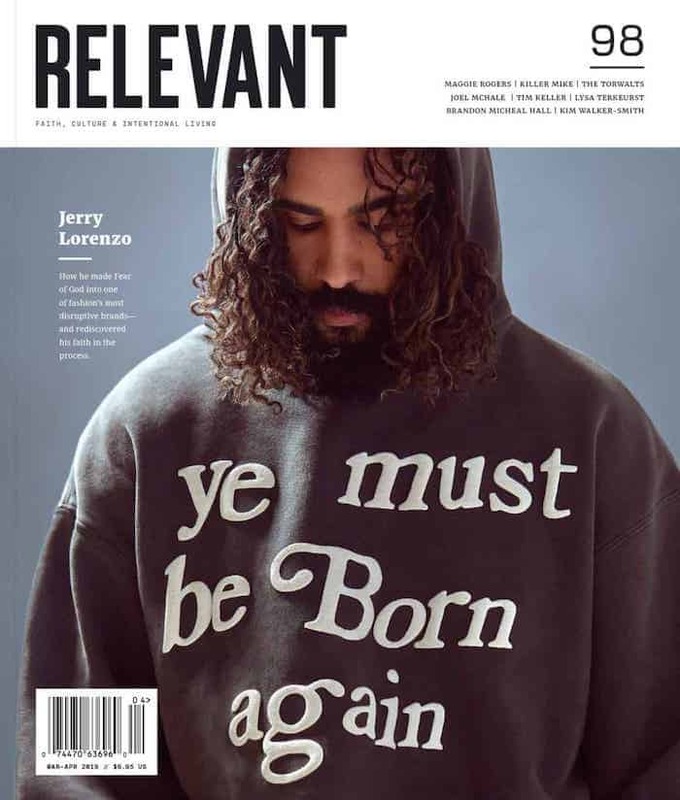 Baby is by no means a stand in Christ figure, in the way that Superman and a handful of other superheroes have been portrayed for stories that play out as secularized gospel stories. Instead, Baby is a flawed 20-something with a hunger for classic cars and a desire for peace, and most of all, to care for the people he loves. As far movie heroes go, we couldn’t ask for a better one in 2017.